MGM Grand Ho Tram Beach, the first large-scale integrated luxury resort and entertainment destination in Vietnam, will open its doors in January 2013. Delivering MGM’s trademark Energy, Excitement and Entertainment, the first phase of MGM Grand Ho Tram Beach features 541 luxury guest rooms and suites, a 2,200 square-meter conference and convention center, world-class restaurants, a lavish spa, a thrilling night club, a 18-hole golf course designed by Greg Norman, and a wide range of Vegas-style entertainment. Slated to be among Vietnam’s most luxurious hotels, the fully-integrated waterfront resort will transform the entertainment and hospitality landscape of Vietnam. 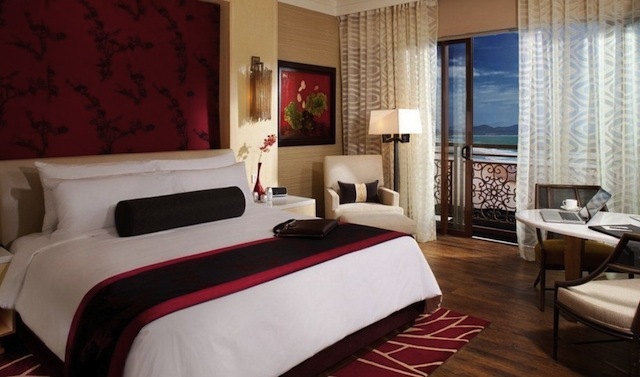 Located on the beautiful coastline in Vietnam’s Ba Ria – Vung Tau Province and approximately 120 kilometers southeast from Ho Chi Minh City, the two-hotel-wing MGM Grand Ho Tram Beach will ultimately feature 1,100 luxury rooms, suites and villas, offering unparalleled luxury and world-class entertainment for leisure and business travelers. “MGM Grand Ho Tram Beach has a compelling offering in a spectacular location. It is a stunning integrated beach Resort that will combine elegant and gracious service with an authentic and energetic Las Vegas experience,” said Mr. John Shigley, President & COO of MGM Grand Ho Tram Beach. MGM Grand Ho Tram Beach will be the home to some of the world’s hottest entertainment, featuring high-profile concert, fashion, beauty and sporting events. “We are dedicated to bring the Energy, Excitement and Entertainment – the hallmark of all of MGM’s properties worldwide to the beautiful shores of Ho Tram, and to welcome guests from near and far to our spectacular resort,” said the Vice President & Hotel General Manager of MGM Grand Ho Tram Beach, Mr. John Webb.